SmartScope Snap - CMM Inc. 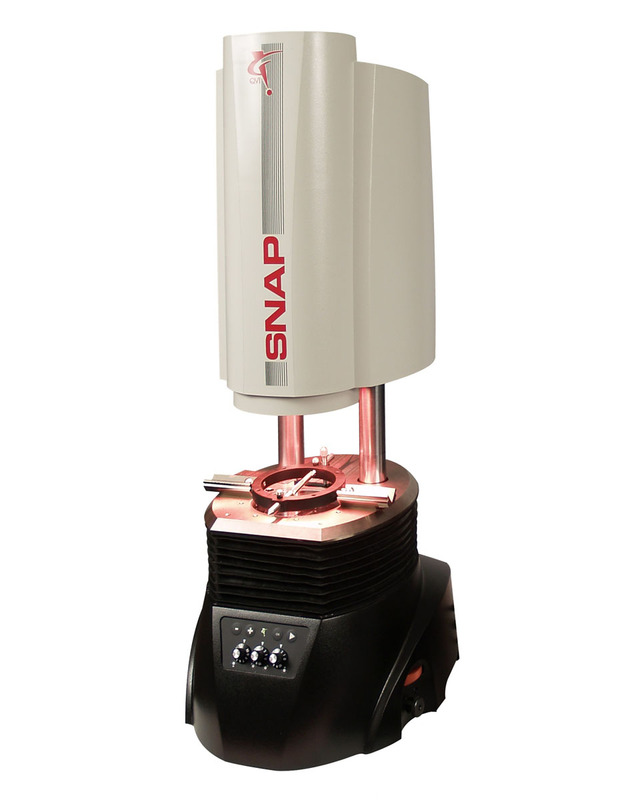 The SmartScope Snap is a full function digital measuring machine that allows any user to take complex measurements easily and accurately; simply place a part on the stage, select the routine, and press ‘run’. You can measure anything within its generous 78 mm field of view, and the Native Video® image processing lets you zoom in on any part of the field of view to isolate and measure small details with up to 50 nanometer resolution — all without moving the part. The SmartScope Snap also has a backlight, square-on top light, and an 8-sector programmable ring light. Lastly, the Measure-X® 2D metrology software provides a full range of feature measurements with no limit on number of points or measurement steps in a routine.